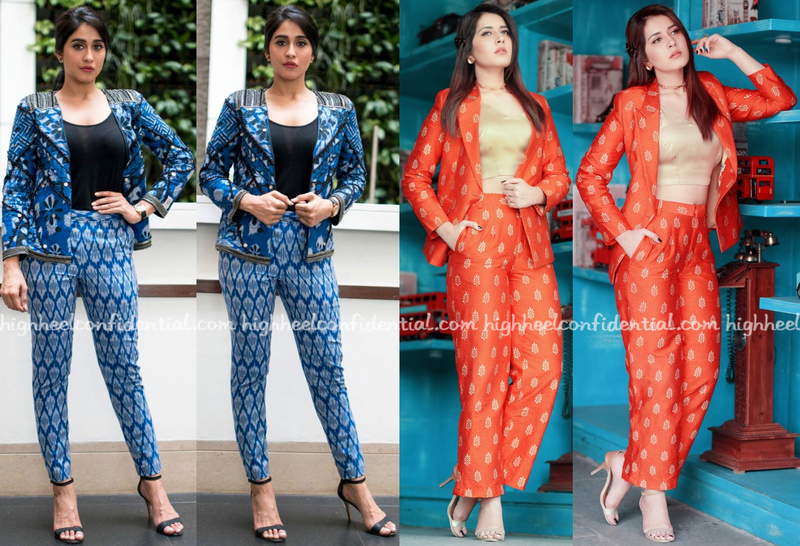 For their respective events, both Regina and Raashi picked printed separates and solid-colored camis to wear. 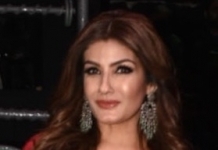 For the former, it was Rinku Sobti and for the latter, a Mint Blush Designs suit. Simple ankle-strap sandals rounded out both their looks. Both look great…but like Rakul Preet Singh a tad bit more. You mean Raashi instead of Rakul. Regina looks okay. But Raashi looks like a golden girl in the orange suit. I have a feeling that Raashi looks good in anything. She never looks bad. She always looks radiant. But I will give them points for trying something different based on Indian textiles and handlooms. Much power to Indian crafts. Raashi looks good. The color looks great on her skin tone. Regina looks okay. She mostly fails because of her try hard posing.